Peters Riffelwalzen GmbH is currently a member of the Gradet Group. For several decades, various companies in the group have complemented each other in the production of machinery, parts and components, and special rollers and rollers. They are now able to meet the needs of various technical, printing and paperboard handling problems. As a member company of the Gradet Group, Peters Riffelwalzen GmbH continues its tradition of more than 50 years: providing corrugated board production machinery, corrugating rollers, printing rollers, rubberizing rollers and other spare parts. In addition, Peters Riffelwalzen GmbH offers first-class repair services worldwide. Therefore, Peters Riffelwalzen is totally worth your trust: it can equip you with existing production equipment and supply you with complete production equipment parts. Based on the traditional Glue-Star, engineers of Peters/Gradert achieved the best performance of the machine by manufacturing the Glue Applicator Unit G-323. G-323 is very convenient to use. It is a series of automated devices for touch-screen computer control systems. The multi-faceted machine is one of the best dual-type machines in the world. Two corrugated rollers cooperate to automatically change the switch within one minute of pressing a button, and a third reel can be added. This multi-faceted machine thus combines all the advantages of a double-sided machine, and it has the great advantage of a rapid conversion of a double-sided machine disk. 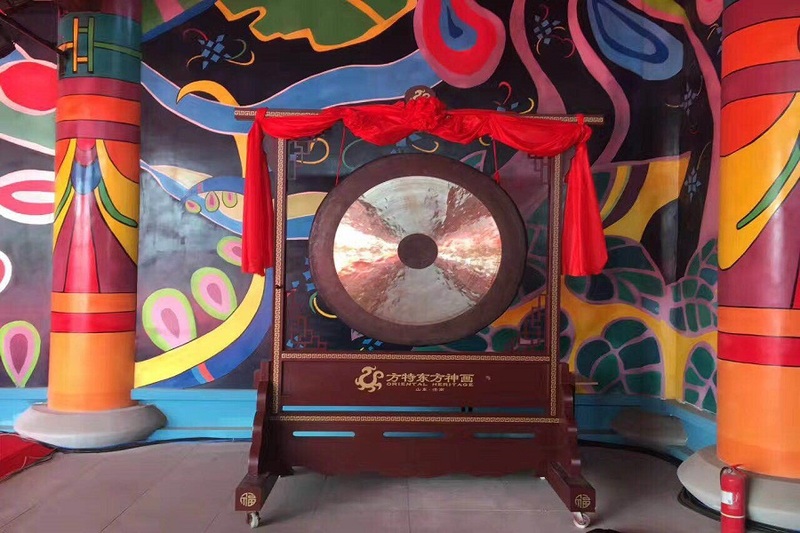 The bronze gongs are made of B20 alloy and 100% handmade. The primary alloys in the creation of the percussion Gong are copper and tin, but small amounts of lead, silver and gold are often added to alter the characteristics of the sound. The production of coppern gongs includes the process of forging, hammering, and tuning.